Feeding: Their primary diet should consist of carnivorous pellets, loves blood worm, brine shrimp, small fish. Breeding: Can be achieved, not easy. Senegal Bichirs are a smaller species. They will appreciate a well decorated tank with lots of bogwood, this fish is nocturnal but will happily come out in the day and eat. 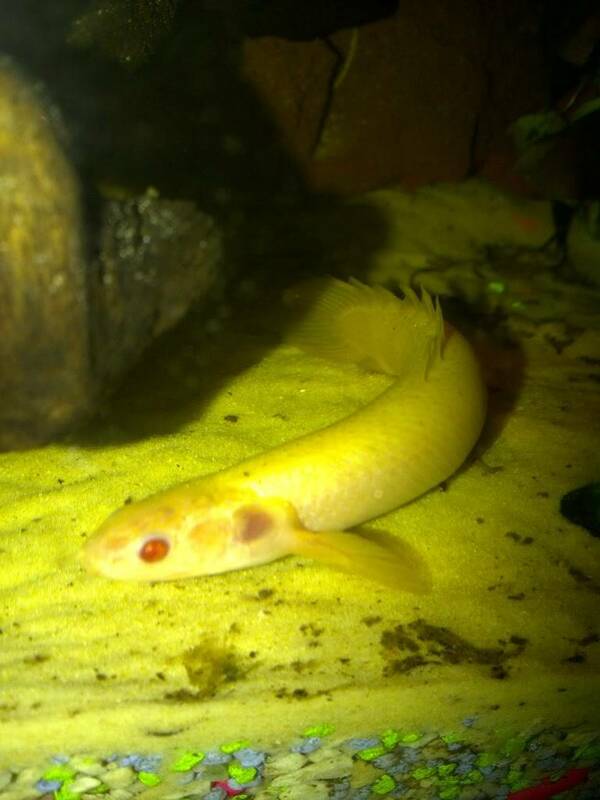 Unlike other bichirs that mainly bottom dwell, they swim in open water aswell. These fish will eat smaller tankmates, when the light turns out - they turn into amazing predators. These fish will appreciate a lot of swimming space. This fish loves to jump out of aquariums, make your you have a tight fitted lid. Senegal Bichirs come up to the surface to get air as they have a lung, make sure surface access is available. These fish should not really be housed with large aggressive cichlids such as umbees and doviis. They cannot see to good so feeding at night time is best.